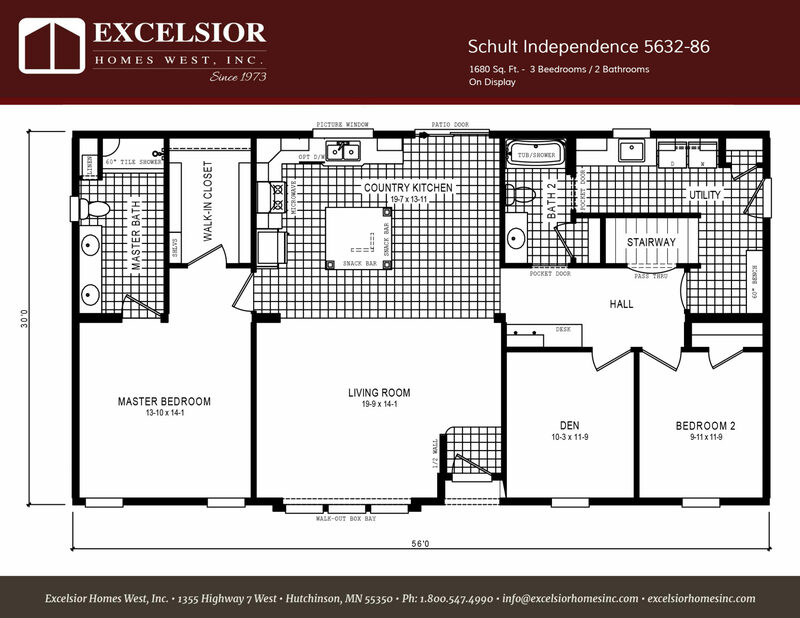 Schult Independence 86 Home Plan | Excelsior Homes West, Inc.
Are you looking for an average sized home? The Independence 86 may be the perfect modular or manufactured home plan for you! The Schult Independence 86, is a great floor plan built by Schult Homes Factory in Redwood Falls, MN. This modular home floor plan is one you will want to see with many features to delight. This nice open home with a large living room and country kitchen has plenty of room for entertaining. There are three bedrooms including a master suite. The master suite includes an attached bathroom and walk-in closet. There are also two deluxe bath options along with three luxury bath options. Customize this home to fit your needs by making it either a 2 or 3 bedroom home. This home can be built as a modular or manufactured home. The Schult Independence 86 has many optional upgrades available. Let us help customize a modular or manufactured home for you! The Schult Independence 86 has many options and upgrades to choose from which can vary based on the type of home – Modular or Manufactured. Our job is to help home buyers find the perfect floor plan and customize it with the options and upgrades desired. Make desired changes and Excelsior Homes will have it built and delivered to your location in Minnesota, North Dakota, and surrounding areas.